My name is Libby Durkin. I am 8 yrs old. 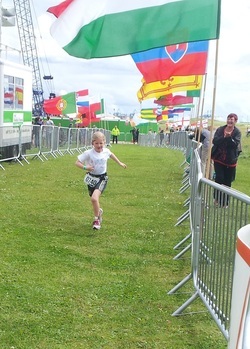 I did the Sefton Triathlon. I had to wear a chip on my ankle and get numbers painted on my arms and legs. I had to swim 50 metres, then run in my costume to get my bike and then cycle 2k. Then I put my bike back and ran 1k. When I came through the finish line I was very tired but happy. They shouted out my name and all my family were cheering and clapping. 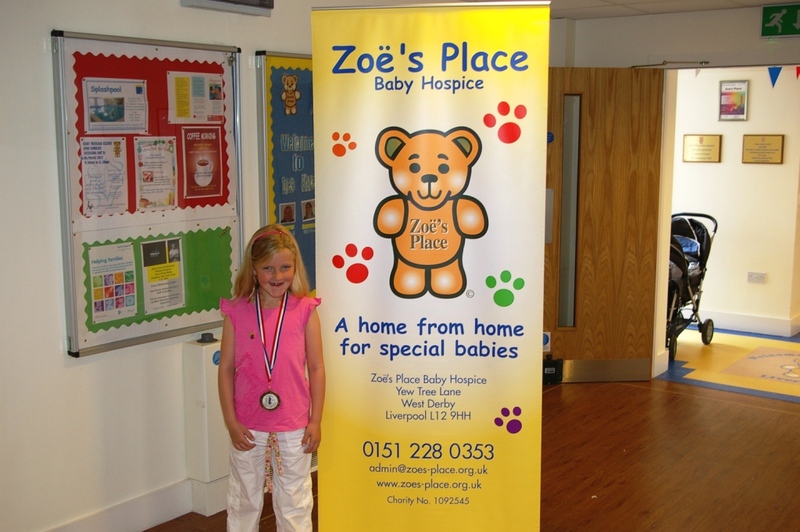 All the money I raised went to Zoe’s place. I went to the hospital with my Mum and brother and then they took my photograph.